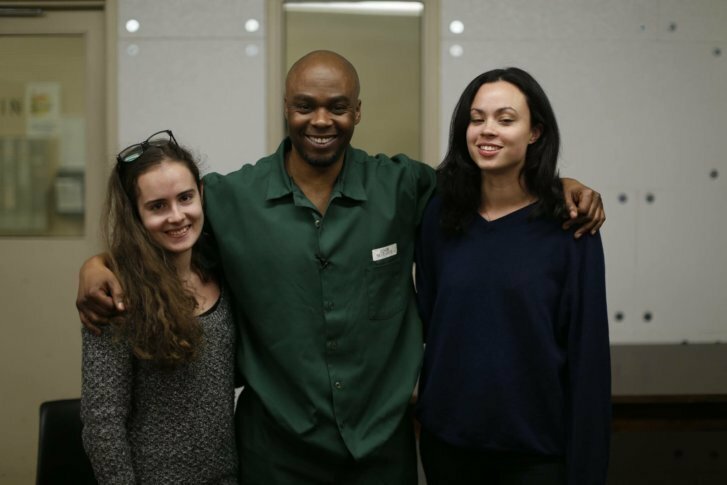 Three Georgetown students re-examined Valentino Dixon's 1991 second-degree murder conviction and helped him get exonerated after he served 27 years in prison for a murder he didn't commit. WASHINGTON — Valentino Dixon wanted to eat lobster for his first family dinner as a free man in more than a quarter-century. “He decided he wanted to go to Red Lobster because he’s never been there,” said Georgetown University student Ellie Goonetillake, who helped get Dixon exonerated after serving 27 years in prison for a murder he didn’t commit. Goonetillake and two classmates in a “Prison Reform Project” course — Julie Fragonas and Naoya Johnson — re-examined Dixon’s 1991 second-degree murder conviction in Erie County, New York. The students discovered prosecutors never revealed to Dixon’s defense attorney that a gunpowder test on Dixon’s hands came back negative — a major violation in trial procedures. Dixon walked out of the courthouse Wednesday. He had been sentenced to 38 years in prison, despite another man repeatedly confessing to the murder. The course is co-taught by adjunct professor Marty Tankleff, who was himself wrongfully imprisoned for almost 18 years in the deaths of his parents. “I’ve been in Valentino’s shoes myself, and I know what gives you hope in the darkest moments is knowing that people are fighting for you, to expose the truth and to finally bring about justice,” Tankleff said. Students in Howard and Tankleff’s course conducted investigations into four murder cases, and new cases are being studied for the upcoming semester. Editor’s note: This story has been updated to reflect Dixon’s convictions.